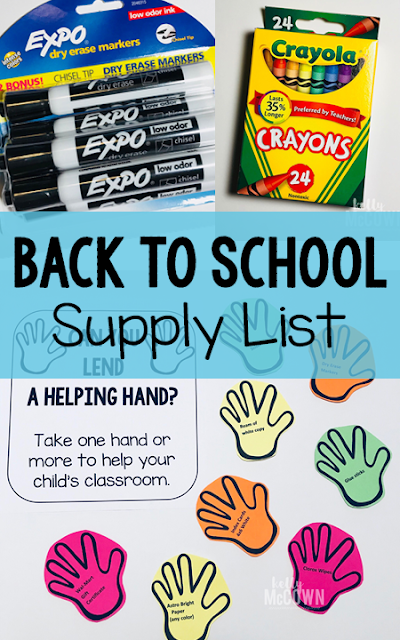 Do you have a Back to School List? This is the Ultimate Back to School List to help your classroom survive and thrive through the school year. The only thing from the list that I have to ask parents for more of are tissue boxes and copy paper (my school doesn't supply this and asks the parents to donate to each classroom). If you ask, you shall receive. It's a simple concept, and it works every year. Make a concise list of what you need to be successful for the entire year and ask parents for donations. Each parent is encouraged to help donate at least one item from the list. Click HERE to download. So how do you get the parents involved to actually donate? 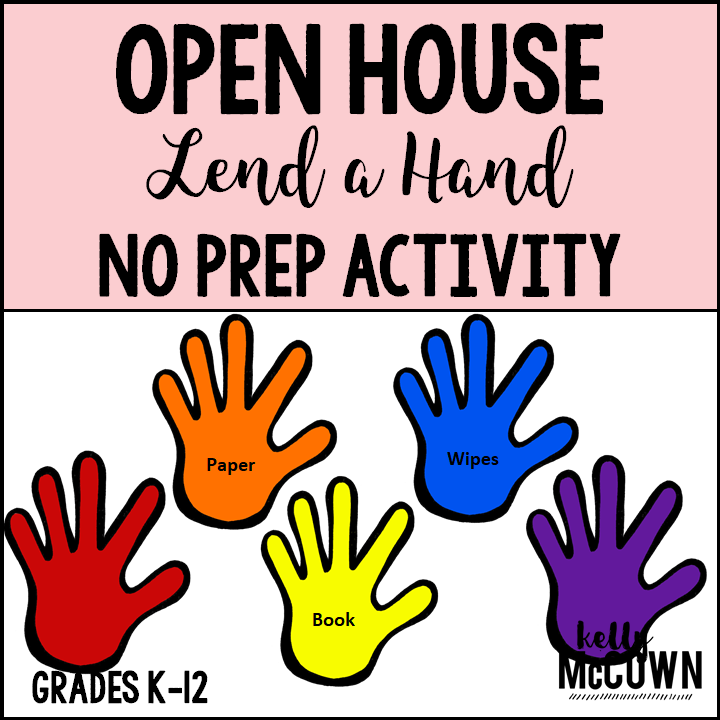 The best way is an easy print and go actionable "hand" out for the parents to take as a reminder. 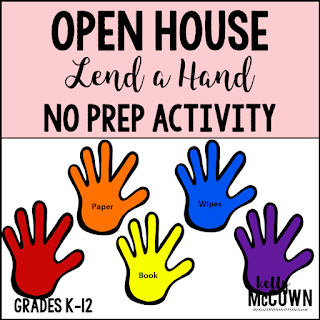 These hands are placed on a desk or whiteboard when students visit for Meet the Teacher or Open House. I encourage every parent to sign in and take a hand. It is great when parents help meet the needs of the classroom and come together to support students. Ask your parents what they can do for you and you may just be surprised by their generosity. May your classroom be supplied and ready to go for the school year! Preparation is key and parental involvement and buy-in to the classroom early on will ensure you have a great school year.